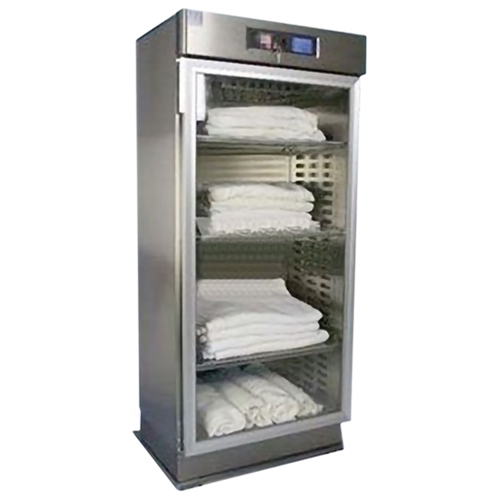 The Blickman Model 7921 (solid or glass door) single door warming cabinets (blanket warmers) are 74-1/2” tall and ideal for warming blankets or solutions. An open and adjustable shelf design adds to flexibility and expanded use. Easy to use controls for setting internal temperature of the warming cabinet is conveniently located above the door.